The 10 Best Seafood Restaurants in Oklahoma! Oklahoma may not be known as a hub for seafood, but there are some top-notch spots serving up excellent fish, lobster, oysters and more, all across the state. Some seafood is flown in from South America, while other places source from around the U.S. And some, is caught right here in our own backyard. Whatever you prefer, Oklahoma has a seafood restaurant serving up the best. Here are our 10 favorites. According to the menu, “Pearl’s fully supports the sustainable seafood movement…Dress casually.” The menu is a fusion of Creole, Southwest, Asian and Mediterranean flavors with fresh seafood. It’s probably one the tope restaurants in the state for seafood. Bodean has a fish market, and you’ll find fresh selections on the restaurant menu. grilled Alaskan halibut, Alaskan red king crab legs and sea scallops grace this wonderful menu. A fine dining experience where you can dress up or come casual. They serve fresh Ahi tuna, Norwegian salmon, halibut and offer one wild-caught fish of the day in season. The restaurant is committed to fine food and wine, local ingredients when possible and excellent service. A restaurant near Grand Lake, this place has some of the best catfish and hushpuppies in the state. Although the restaurant is new to the area, the owners have decades of experience in the food industry. On Tuesday and Wednesday, you’ll find lobster, but on any given day, you’ll find fresh seafood flown in from around North and South America. You can even select the exact pieces of seafood for your order, which can be grilled, fried or broiled to your specifications. The Drake is part of the Good Egg Dining Group, and it is highlighted by sustainable seafood served in an upscale atmosphere with hospitality as a focus. It’s a great place to enjoy oysters, paella or different types of fresh fish. The Maryland Crab Cakes are made with 100 percent crab, no filler. 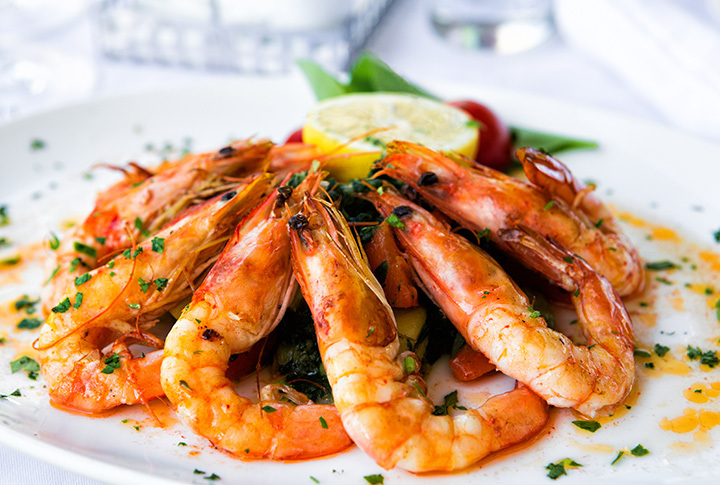 There aren’t many seafood dishes on the menu, but the ones that are there are always delicious. Their specialty is catfish, and they’ve been doing it right since the 1970s. Get it fried or grilled, with all the sides and hush puppies. Most Oklahomans enjoy catfish, and it doesn’t get much fresher than McGehee’s. Located near Lake Texoma, BG’s Catch is committed to using farm-raised catfish on its buffet. The chefs hand-bread each catfish fillet and cook it up fresh. Voted OKC’s best seafood restaurant, The Shack features Cajun-Creole flavors reminiscent of New Orleans. Get fresh fish, oysters or crawfish any time you’ve got a hankering for good food served in a casual atmosphere. You’ll also find jambalaya, gumbo and a “Shack Boil,” with your choice of seafood and heat, potatoes and corn included.